But life doesn’t always give you that option, does it? It turns out that when your family comes to visit from 10,000 miles away, the desire to share with them all of the areas you’ve grown to know and love is very, very strong. 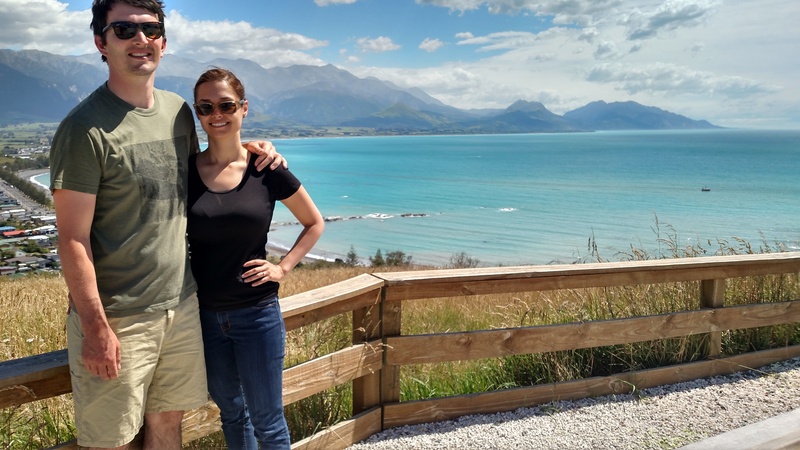 My parents only had a week to explore the South Island of New Zealand with Tom and me, and I couldn’t decide on just one spot to show them! So Tom and I put together a whirlwind itinerary of our favorite South Island heavy hitters, and planned to see it all in just 1 week. Christchurch has a great airport with lots of flights moving in and out every day, so it’s a great option for a South Island Road trip starting point. It also happens to be Tom’s hometown, so the natural starting point for us as well. The road out of Christchurch starts very tame, with green scenes of rolling hills and plains before you find yourself rising into the mountains. 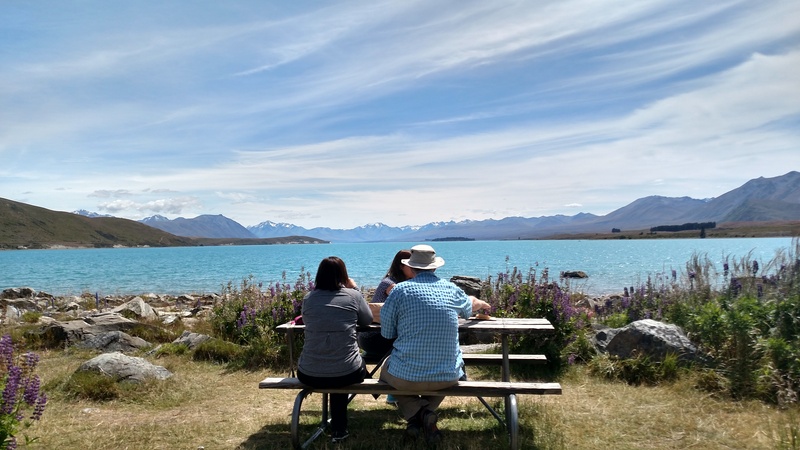 Grab a take-away lunch and stop for a picnic at the gorgeous Lake Tekapo. 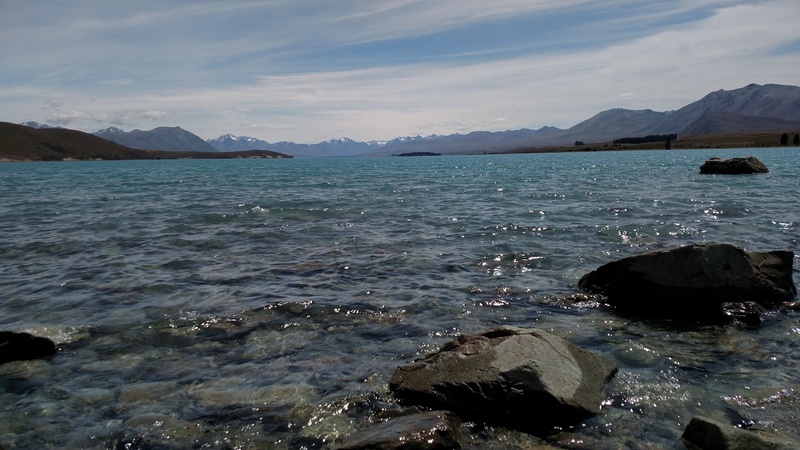 Just a bit further down the road you’ll find yourself needing to pull over once more for a photo and stretch at Lake Pukaki. 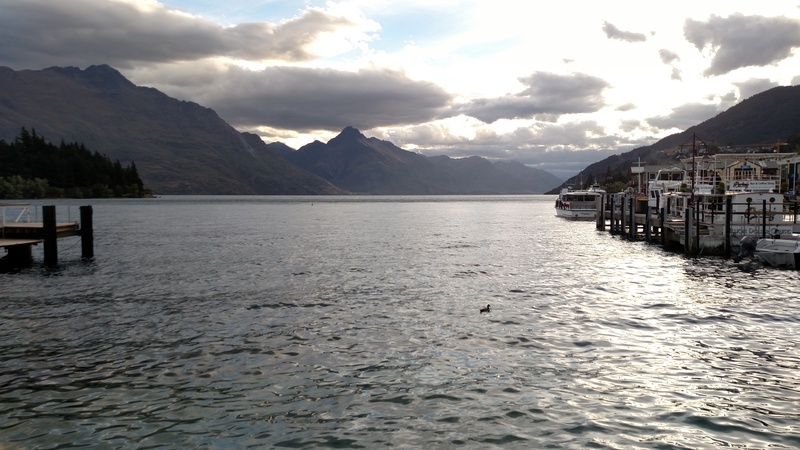 After a long day’s drive you’ll arrive in Queenstown. 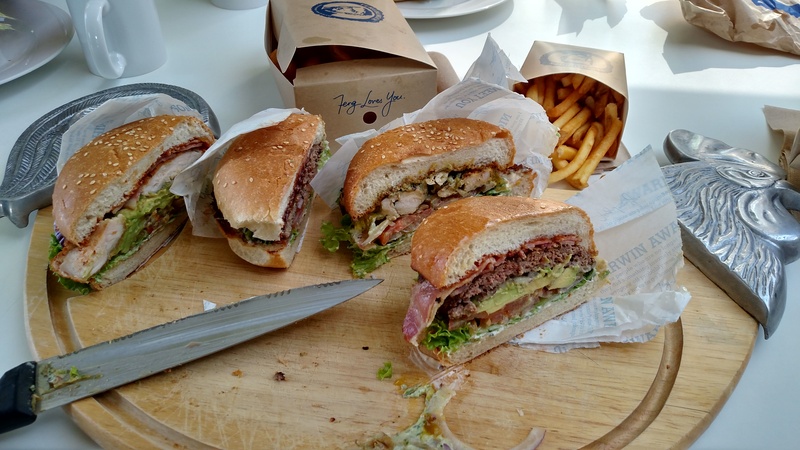 Take a stroll along the waterfront and choose a place for dinner – you’ll have plenty of options, but at some point you’ll need to try the famous Fergburger! Days 2 and 3 are interchangeable on this itinerary, but we decided to visit Milford Sound first as it was another long driving day and we thought we’d have more energy at the start of the trip. I cannot stress this enough: even though it’s hard to get to, Milford Sound is a MUST on any South Island road trip. Do not let the distance deter you. It’s worth it. This was my second time to Milford Sound. Winter and summer on the sound are quite different, but equally beautiful. Make sure you book a cruise along the bay before you go, and be prepared to leave Queenstown early in order to make your departure time. The drive there is stunning, but sparse, so fuel up in Queenstown, then again in Te Anau, and bring your own food. We actually brought a little camper stove and cooked sausages on the side of the road for lunch. There are many beautiful places worthy of a picnic, so come prepared! There is a lodge at Milford Sound with accommodation, and some travelers choose to stay in Te Anau, just outside the national park. But for the purposes of our itinerary, we decided to come all the way back to Queenstown so we’d have a full day there the next day, a decision I’m still happy with! After two evenings in Queenstown, it’s time to explore this beautiful place! There are so many options on offer here, and on our last trip Tom and I did some beautiful hiking in the area. This time though, I knew how I wanted to spend my day: on a wine tour. This region is famous for its wine, so after two days on the road, we were all very happy to let someone else drive us around the area while we sampled wines and enjoyed the views. It was just the kind of relaxing activity we needed to recuperate and prepare for our next long day of driving. Driving nearly the entire west coast of the South Island in one day is a doozy, so set out early. That being said, this has got to be one of the most scenic roads in the world, with lots of places to stop and explore. From jungle waterfalls to tropical-like beaches to glaciers (you’ll pass 2 glaciers on this day – make sure you stop at at least one of them! ), there is so much to see. Wind down for the evening in the sleepy beach town of Hokitika. Make sure to check out its many artisan shops – this area is famous for its pounamu stones and jewelry. Grab a low-key dinner of fish & chips to eat on the wild, windswept beach. Maybe you’ll even have some Queenstown wine to wash it down with? If you can stay up late enough (or wake up early enough I suppose…), make sure to head to the glow worm dell just outside of town. Before setting off on your drive for the day, head out to the Hokitika gorge for an easy to walk to a spectacularly blue river. Shortly before we left on our trip, Kaikoura was hit by a strong earthquake that did heavy damage to roads leading in and out. At the time, the quicker route from Hokitika was not possible due to road closures. This pushed us to take the more southern route over Arthur’s Pass, which adds about an hour to the drive. Tom and I had crossed Arthur’s pass before, and were not sorry to do it again. The drive is absolutely stunning, and well worth the additional hour. Spend the day enjoying the beauty of Kaikoura. There are so many activities to choose from – most centered around the viewing of various sea animals. 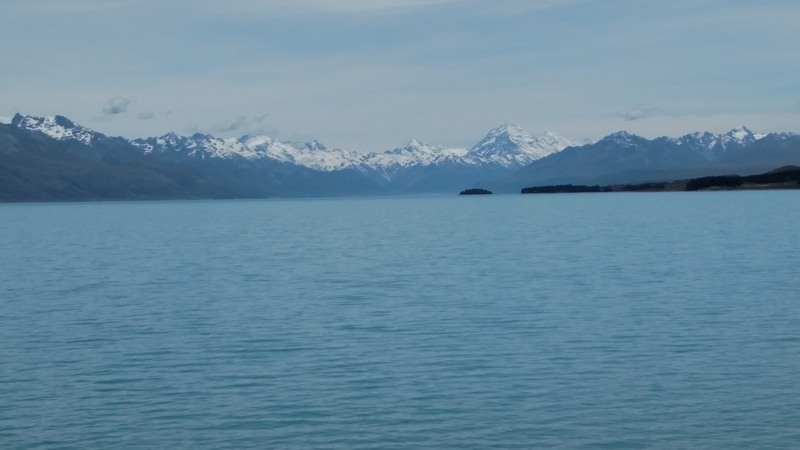 We opted for an ocean kayak trip that would have been draw-droppingly gorgeous without any wildlife sightings at all – but of course, we did see several New Zealand natives, including swimming penguins! If you’re a lover of seafood, you’ll want to treat yourself to a crayfish dinner tonight. And just like that you’re back where you started! 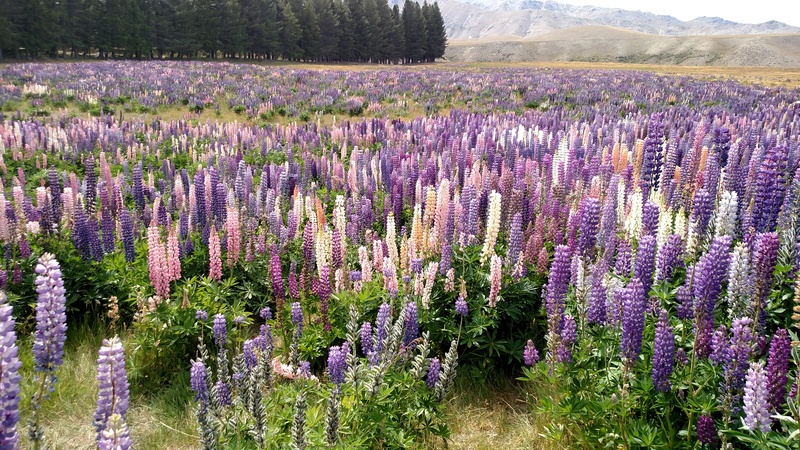 The drive back to Christchurch travels along a gorgeously dramatic coastal road for some time, and is relatively short and easy compared to the other drives you will have completed on this itinerary. If you have more time: Christchurch is still rebuilding after the 2011 earthquake, but is well worth a visit. The banks peninsula is also worthy of a drive, with the beautiful town of Akaroa situated perfectly for a day trip from Christchurch. We rented a car for our trip through Pegasus Rental Cars. They rent slightly older model cars than most rental places, but for a lower cost. Our car was in great shape and comfortable, and we were really happy with their friendly service. Not in a hurry? 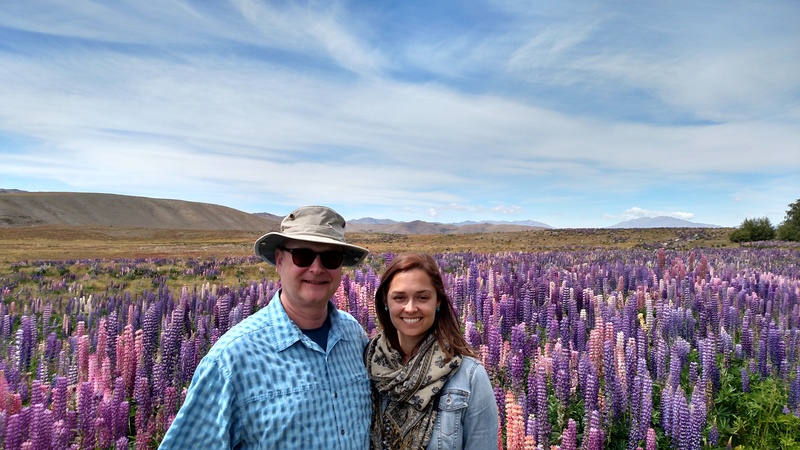 Check out my stories from the lazier South Island road trip Tom and I completed back in 2015!